← Toys For Grown Ups! Then tragedy struck. In August of 1915, Marcella was given a vaccination at school. Shortly afterward she became very ill. Her parents blamed the vaccination. 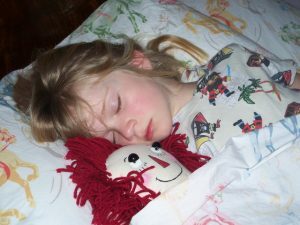 According to Johnny’s grandson Kim Gruelle, Johnny “spent as much time as he could by Marcella’s bedside, creating stories based on her childhood toys and dolls in hopes of lifting her spirits. 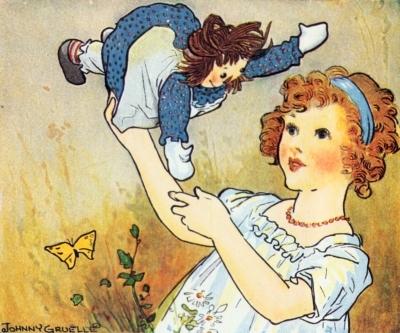 *” Sadly Marcella died “in her father’s arms” on November 8, 1915. She was 13 years old. 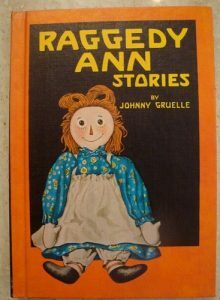 Three years later Johnny published his first collection of Raggedy Ann stories, based on the ones he used to tell his daughter. Beautifully illustrated, full of joy and spirituality, it is obvious that Marcella was his inspiration. 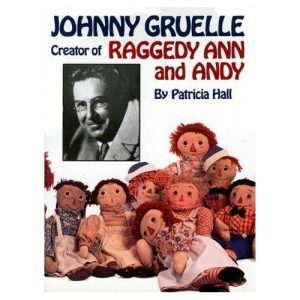 Johnny went on to write more than forty books about Raggedy Ann and her brother Raggedy Andy. 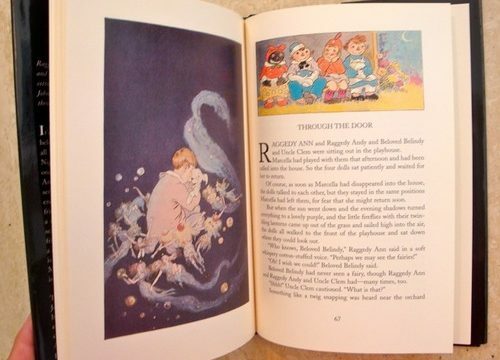 The books are variously illustrated by Johnny, his brother Justin (uncredited) and Johnny’s son Worth Gruelle. The Raggedy Ann and Andy books are full of love. 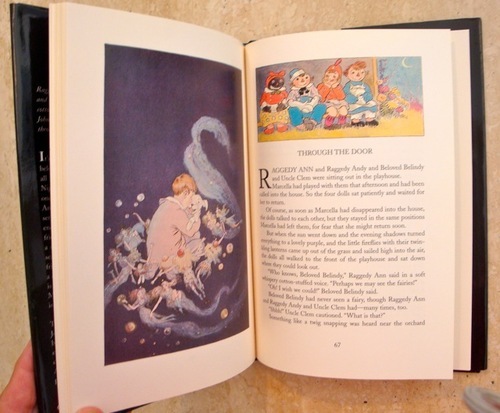 They are also full of adventure, magic, good will and lots and lots of sugary treats! It is amazing how many cookies and ice-cream-sodas those two dolls could put away! It is no wonder that children love to hear these stories read aloud and imagine that they too are in “The Deep Deep Woods” or friends with “The Camel with the Wrinkled Knees.” Johnny Gruelle turned the tragedy of his daughter’s death into a gift of love for generations of children, all told through the twinkle of a shoe-button eye and a candy heart. * From the Forward written by Kim Gruelle in the book, “Marcella A Raggedy Ann Story” by Johnny Gruelle, Simon & Schuster Books For Young Readers, 1999.